Jurassic World: Fallen Kingdom, an English movie, is not currently screening in any theatres in Hyderabad.
" Bryce Dallas Howard plays a right Mary Sue"
I feel the women characters in most mainstream Hollywood films these days are being increasingly "Mary-Sued", so as to escape the bashing from the PC police. In this, the year 2018 of the Common Era, we are stood at a precipice, as we come to understand the chaos that humans create to the order of the world as we understand it by the fact of our mere existence. 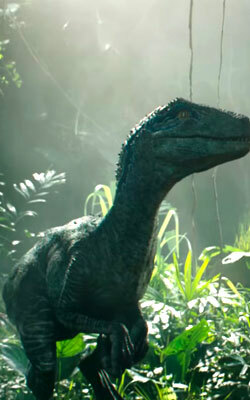 As you start off watching the latest chapter in the newest Jurassic World arc, this awareness comes across loud and clear. fullhyd.com has 700,000+ monthly visits. Tell Hyderabad what you feel about Jurassic World: Fallen Kingdom, and then also see all user reviews for Jurassic World: Fallen Kingdom!